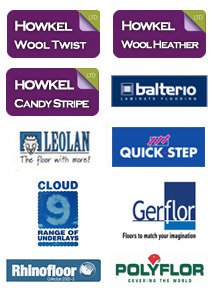 Howkel Carpets was established in 1985 by Raymond Howe. The business initially started by selling rugs on the local Yorkshire markets progressing into manufacturing of rugs and then carpets. The first Mill Shop opened in Armitage Bridge and in 1990 moved to Lower Viaduct Street in Huddersfield. The business acquired it’s Taylor Hill Mill manufacturing site in 1991 and was then able to start full production of carpets. The second Mill Shop was opened in 1993 at Oldfield Street in Crosland Moor. Philip Howe took over the day to day running of the business in 2006 and the company expanded to supply both Domestic and Contract customers with made to order carpets, vinyl, laminate and solid wood flooring. Howkel Carpets also supplies carpets to Hospitals, Pubs, Schools, Local Authorities and Local Businesses in Huddersfield and across the Yorkshire region.